Eduardo González is Professor of Spanish, Director of the Spanish and Latin American Subdivision, and Director of Undergraduate Studies. He is an affiliated faculty member of the Center for Advanced Media Studies and the Program in Latin American Studies. 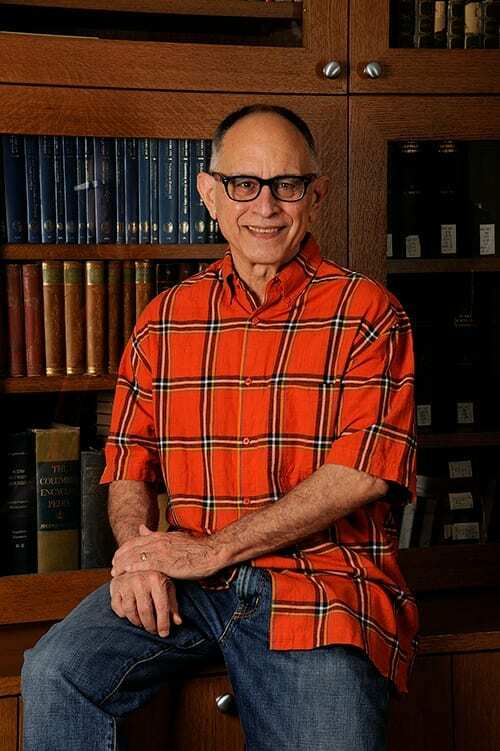 He specializes in the literature, cinema, and interconnected history of Hispanic America, Spain, and the United States. A leading scholar of Caribbean literature and culture, his scholarship is characterized by a persistent engagement with questions of national, cultural, and sexual identity. He received his Ph.D. from Indiana University, Bloomington in 1975 and joined the faculty at Johns Hopkins in 1981 after holding positions at Williams College, Bennington College, and the University of North Carolina, Chapel Hill. In 1997, he founded and led the Johns Hopkins University-Fernando Ortiz Foundation Seminars, held annually in Cuba until 2004 and, again, in 2012 and 2013, with the participation of a diverse group of Hopkins students and Cuban scholars and artists. He has published widely on Latin American literature and culture, including studies of, among others, Juan José Saer, Jorge Luis Borges, Severo Sarduy, José Lezama Lima, Reinaldo Arenas, and Virgilio Piñera. He is the author of Carpentier, el tiempo del hombre (Caracas), La persona y el relato (Madrid), The Monstered Self (Duke), Cuba and the Tempest (UNC), and Cuba and the Fall (Virginia). Professor González’s current work involves the literatures of the American South, Spain, and the Caribbean. He is working on three books. The first, tentatively titled Looking East and Facing West, examines the honor-coded dialectics between abnegation, egoism, and revenge in the statecraft dramas of Pedro Calderón de la Barca, Shakespeare’s Julius Ceasar, Hamlet, and English revenge plays. He uses these plays to reflect on the current crisis in U.S. political culture, especially on the lost sense of legitimacy and tragic swerve of American democratic politics into dangerous fantasies of global might. The second, titled Borges in Overdrive, explores and dissects the mode of so-called “literariness” in the parody, invented authors, and satire of Jonathan Swift and Jorge Luis Borges. The book focuses on practices of writing and self-fashioning in the context of the literary marketplace and print culture in Swift’s eighteenth-century London and Borges’s twentieth-century Buenos Aires. Almodóvar Measure for Measure, is a comparative work that “measures” some of Almodóvar’s films against the moral, political, and theological problems developed and left unresolved by Shakespeare’s play. 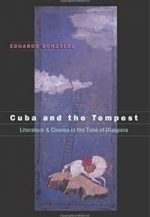 Professor González’s research and publications range across twentieth-century Latin American literature and cinema. As a comparativist, his work often reads Borges, Cortázar, Vargas Llosa, and other Latin American writers in conversation with such writers as Chaucer, Joyce, and Poe. His books have focused on Cuban culture, especially literature’s relationship to queer identity (Cuba and the Fall) and cinema (Cuba and the Tempest), and is theoretically informed, frequently weaving psychoanalysis and political philosophy into studies of Latin American and world literature (The Monstered Self). His scholarly articles, reviews, and essays have appeared in such journals as MLN, Dispositio/n, diacritics, Cuban Studies, Catauro, and Crítica Hispánica, as well as in numerous edited volumes.